The need and demand for computer science education continues ttto grow, with more programs reaching students earlier in life, including pre-school and kindergarten kids. One such local program, Computational Thinkers, is now graduating into its own, independent space in Kahala, after running classes at a few local schools since 2013. 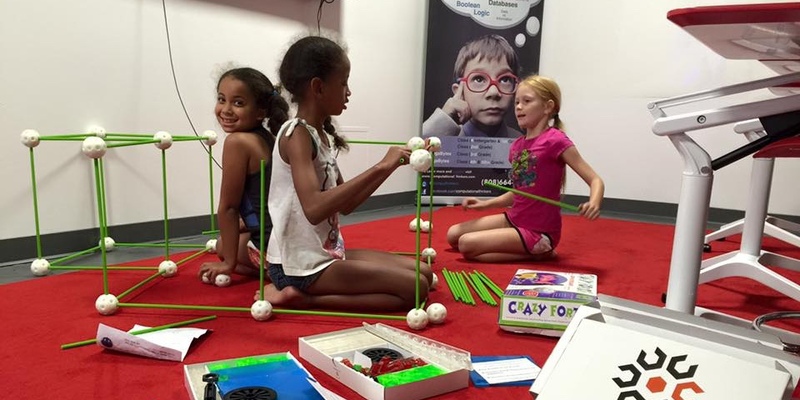 Computational Thinkers is the brainchild of Samantha Kimsey, who serves as CEO, program director, and an instructor. Originally from southeastern Tennessee, she earned her computer science degree at the University of Arizona and went on to work for more than 15 years as a consultant with Oracle. She moved to Honolulu in 2010. When she started looking for classes for her young daughter, they didn’t find much. She set up a curriculum and carved out some time at home to teach her daughter. Soon, neighbors asked her to include their kids. 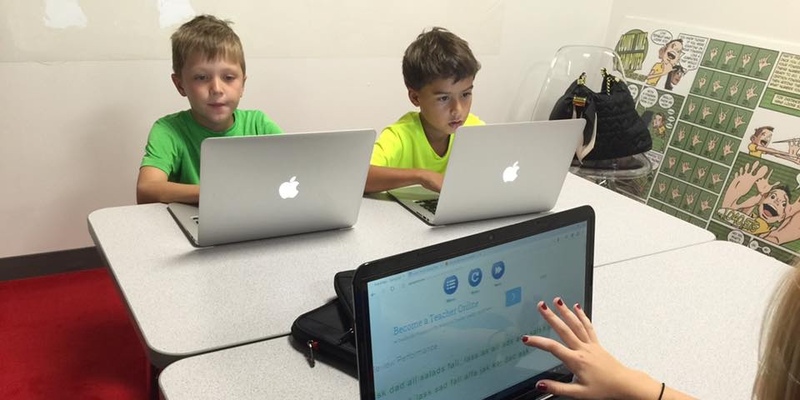 Kimsey then went to Waialae Elementary Public Charter School, where they gave her some space to offer Computational Thinkers classes to three students. And then ten students. And then 65 students. The program was recently added at Kahala Elementary, and even joined the 2015 Punahou School Summer Session. But expanding Computational Thinkers school by school was a challenge, and Kimsey found that interested parents had very diverse needs. So Kimsey and her growing crew (which now includes instructors Rozie Breslin, Wayne Chen, and Maximilian Jimenez, as well as system administrator Samantha Choy) found a storefront across from Kahala Mall. After getting the keys in September, they spent the last few weeks planning, cleaning, and building out their first dedicated location. 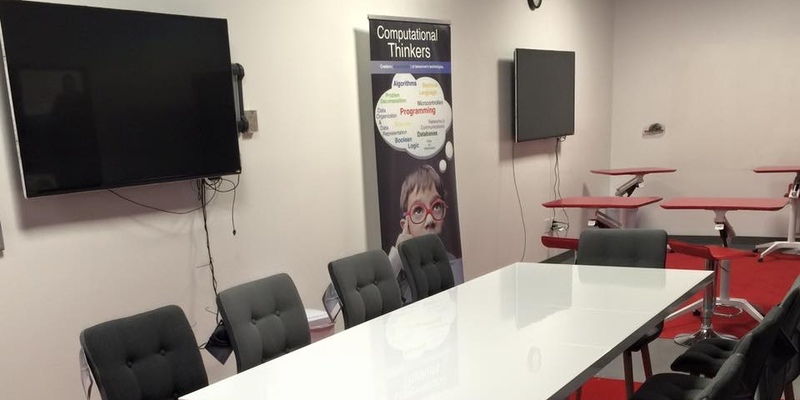 This Friday, Computational Thinkers is hosting a grand opening celebration, and even tying in the Hour of Code. The event will feature remarks from special guests including kahu Wendell Kalanikapuaenui Silva, Richard Chang from landlord Kamehameha Schools, and Hawaii state Chief Information Officer Todd Nacapuy. There will be light appetizers and a brief tour of the cozy, 1,400-square-foot space, leading up to the “Hour of Code.” While students work at computer stations, grown up guests will be able to browse display booths, attempt a coding challenge themselves, or learn about classes planned for the Christmas and spring break. The grand opening celebration will run from 4:00 p.m. to 6:30 p.m. on Friday, Dec. 11 at their new facility at 4224 Waialae Avenue, located across from Whole Foods at Kahala Mall (in the same complex as Aloha Animal Hospital at Hawaiian Hydroponics and Garden). Given the small space and limited parking, attendance is capped at 100 guests, so please RSVP on Eventbrite. For more information, visit ComputationalThinkers.com or connect with the program on Facebook, at @CompuThinkers on Twitter, or @CompuThinkers on Instagram.